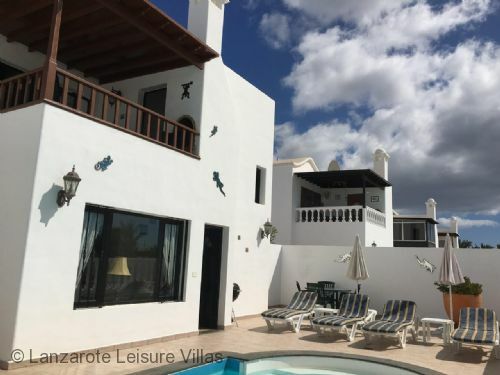 Casa Lahar (Isla) is a beautifully furnished villa situated at the eastern end of Puerto del Carmen in a prime location just a few minutes walk from the beach road and all amenities. The villa is set off a walkway in a quiet position away from the road. The accommodation is laid out with bedrooms and a shower room on the ground floor and the lounge/diner, kitchen and a further shower room upstairs. The sea view balcony is equipped with a table and chairs for al-fresco dining. A lovely feature, on the ground floor, is another lounge with a picture window overlooking the pool. The villa has a front garden divided from the rear garden and pool area by a secure side gate offering security and an enclosed space for children to play. The pool which is heated from November to April inclusive is ideal for cautious swimmers and children, as it's just over a metre deep. 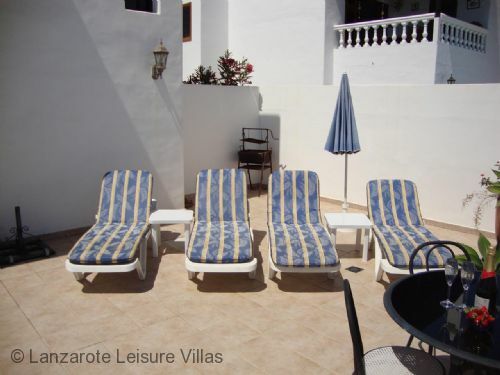 There are sunbeds and patio furniture for relaxing by the pool. The villa has free WiFi. This tastefully furnished villa will be ideal for those who don’t wish to hire a car as it is in the flat part of town and close to all amenities. We really enjoyed our stay in Lanzarote once more, thank you. 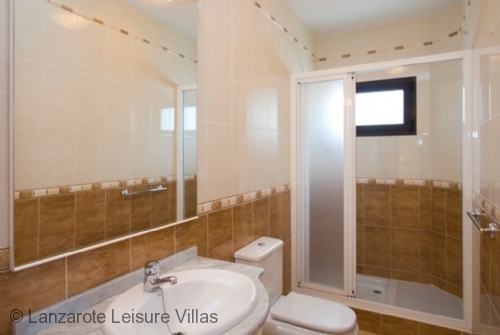 Both villas Lahar and Chica were really first class…we can find nothing that could be improved. Casa Lahar’s swimming pool was leaking but the pool guy was working on it. Everything was really lovely. We are hoping to book those same villas for next May…we will be in touch very soon. Just a quick email to pass on my thanks to yourselves and the owners of Casa Lahar. This is the Third time we have been and it is still as good as ever. The little improvements each year always make it that much better. I would put a comment on Trip advisor but others will find out!! Instead I have booked again for next year. Once again thanks. 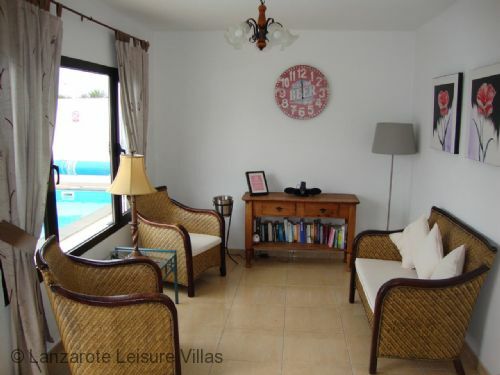 I just wanted to say that the Casa Isla was lovely to stay in, it was our second visit, the villa is very comfortable, and the location is ideal, close enough to shops, restaurants, bars, etc, but far enough away to guarantee a peaceful holiday. 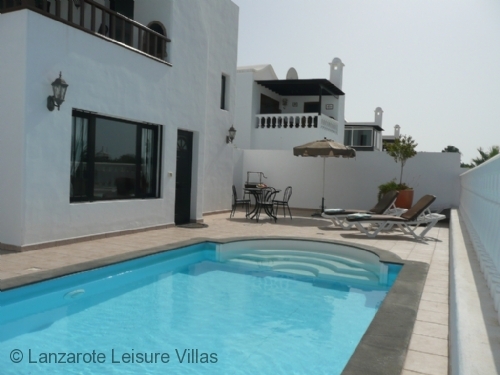 We have stayed in lots of villas in Puerto del Carmen and this has been one of the best in terms of location. The villa was spacious for our family of 4, and it worked really well having the bedrooms on the ground floor and the kitchen and living area on the first floor, with a great view from the balcony. There was water and milk in the fridge when we arrived, along with sachets of coffee and little biscuits - a lovely touch. The villa is really well equipped, the little bars of soap in the bathrooms were handy to have too! The pool was cleaned on our arrival and once during our week's stay and the towels were also changed. Great attention to detail and a really great villa. Would definitely revisit this villa. I stayed at Casa Lahar during the first week of August 2014 with my two teenage daughters. The villa was very clean, spacious and well appointed and the pool, though 1.05m depth throughout, was well used throughout the week. My daughters, being typical teenagers, were thrilled with the free wifi and the range of TV channels available. The villa was off of the mail road in a very peaceful location and only a 5 minute walk from the local supermarket and the beginning of the main drag where the restaurants and shops were, so a car wasn't essential unless you wanted to go sightseeing. 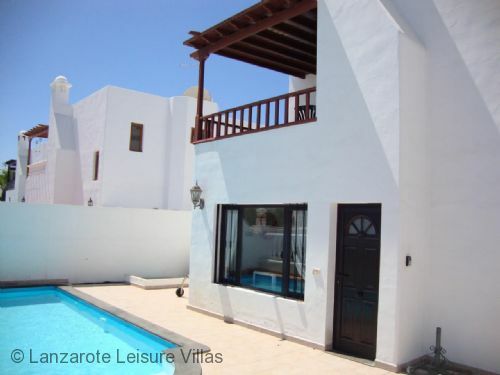 It was also only a 10 minute drive from the airport, and Lanzarote Leisure Villas (LLV) will recommend a cab company who can arrange transfers (we used them and they were very good). Sue and Andrea at LLV were very efficient and responsive to any questions I emailed before my holiday (thank you!) All in all we had a wonderful week and I would definitely stay here again if I came back to Lanzarote. We were very impressed with Casa Lahar and our holiday was better than we anticipated. The villa is very easy to get to from the airport and is then set back from the main road so it's quiet and traffic free. Because of it's location, the villa has better views out to sea than some of the others and gets the sun all day. Less than 5 mins walk there is a very well-stocked supermarket so you can pick up everything you need to cook in the villa (and there is all the equipment you need there), plus you can get to the beach within 5 mins too. The pool was perfect and just the right size to keep us cool. Bigger than we expected and extremely clean, we have been recommending this villa to friends and have even talked about coming back here again - something we don't usually do! I had excellent communication with Sue prior to our holiday and she was able to organise some Cava in the villa when we arrived and an amazing birthday cake for my husband. It made the holiday really special. We have stayed at this villa twice and intend to do so again. 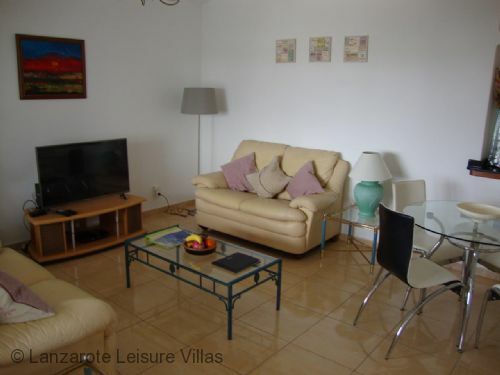 The villa is well laid out, has everything needed for your stay. The location is perfect, 10 minutes from the airport, within 3-5 minutes from the beach, supermarket and some of the nicest restaurants in PDC. As a mature couple we have tried many locations and types accommodation in PDC over 15 years and this is by far the best. We wanted to let you know that we had a lovely holiday in Casa Lahar and enjoyed our stay! Everything was perfect. 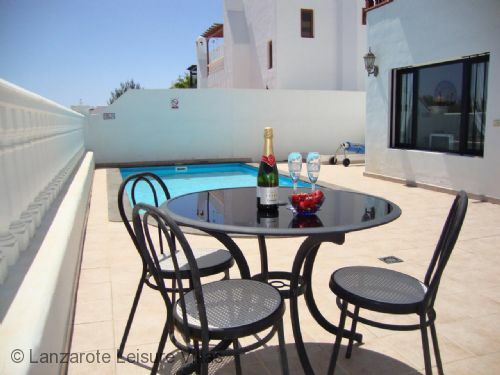 The location of the house is superb and though we visited Lanzarote many times, the village made it special and it was a very pleasant and luxurious place to be. Also we were very happy to meet with Erica Lopez, the village manager, who is a very service minded and friendly person and very well qualified. 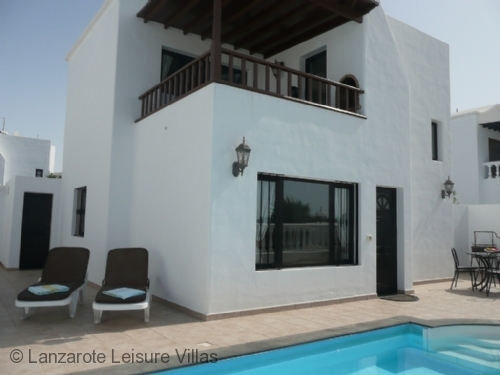 We hope to come again to this beautiful villa in Lanzarote!
'' A really lovely villa'' We have stayed here twice now, and loved the villa on both occasions. The pool is lovely, the villa is well laid out and beautifully clean, and the upstairs balcony is just the most wonderful place to watch the sun set over the mountains. 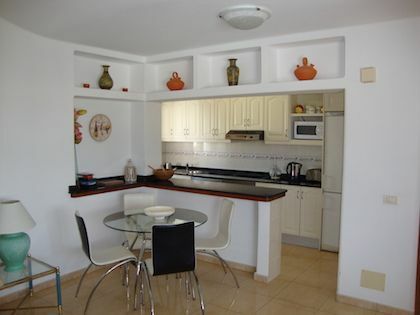 It is a very easy walk to all amenities, restaurants and the buzz of the avenida, but the villa is in a quiet position. Mijn moeder en ik verbleven in Casa Lahar in februari/maart 2012. 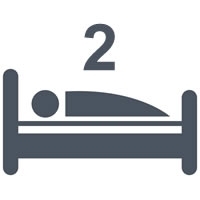 We hadden hier een zeer ontspannen vakantie en hebben bijzonder genoten van Casa Lahar. We zaten graag op het terras naast het zwembad en het ontbijt en diner gebruikten we op het balkon op de eerste verdieping. De villa ligt in een rustige buurt en de supermarkt, winkels en restaurant bevinden zich op loopafstand. De villa is volledig ingericht, zelfs met een straalkacheltje dat tijdens de koude avonden goed van pas kwam. Op een avond hadden wij problemen met de electriciteit, maar dit probleem werd direct door de plaatselijke vertegenwoordigers verholpen. Onze complimenten aan David en zijn zoon, die het probleem snel en vakkundig hebben opgelost. Ook complimenten voor Derek, die twee keer per week het zwembad kwam schoonmaken. My mother and I stayed in Casa Lahar February/March 2012. We had a very relaxing holiday and enjoyed staying in Casa Lahar very much. We loved to sit on the terrace near the pool and had breakfast and dinner on the balcony on the first floor. 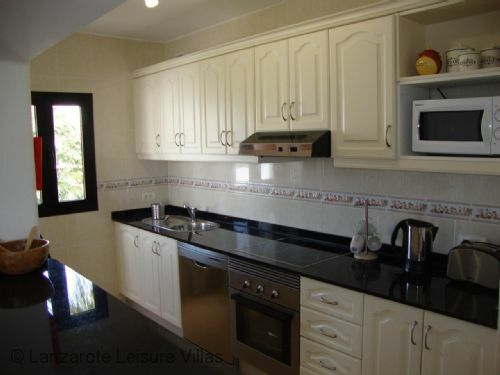 The villa is situated in a quiet neighbourhood but within easy walking distance to shops, restaurants and supermarket. The villa is fully equipped even with a small reflector fire, which was quite useful during the cold evenings. One evening we had a problem with the electricity, but this problem was immediately taken care of by the local management. Our compliments to David and his son who solved this problem in a quick and professional way! Also compliments for Derek who cleaned the pool twice a week. A good holiday starts with a good service of the booking agency. 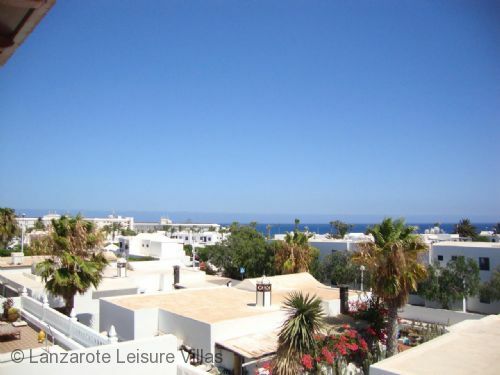 We have booked already several times via Lanzarote Leisure Villas and every time again the service this agency is offering is excellent. The villa is always clean and has a great view on the ocean. 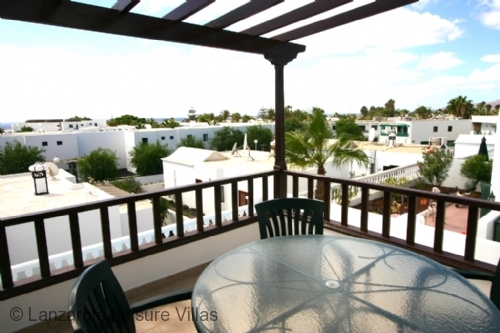 The villa is located only a few minutes walk from the shops, restaurants and the ocean. 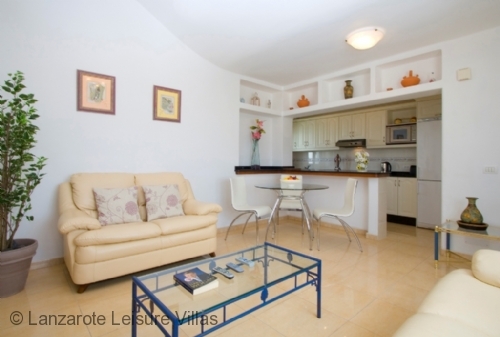 The combination of agency service, the house and the location make Casa Lahar an excellent villa to rent. We stayed for one week in casa lahar. it's one of the best stays of all my holiday experiences. The house is situated in a quiet neighbourhood, with sea, shops and restaurants on a walkable distance. it has a beautifull sea view from the roof terras. the house is really beautiful ...and then the private swimming pool! Everything was clean...the towels were replaced in the one week and the swimming pool was cleaned two times in the week. they even came and asked if everything was alright during our one week stay! The booking went excellent. in my poor english I didn't understand all but there was no problem when not everything went in order. Located off a walk-way, the villa is in a quiet location. This area is known as Costa Luz. It is close to the San Antonio Hotel and the Poscillos beach. The supermarket is just on the corner of Avenida Italia and the beach road. A choice of restaurants and bars to be found here. 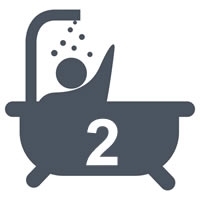 You really don't have to go far for the amenities. Your nearest beach is just across beach road. This is a small beach that is partly rocky - great for rock pools. The Poscillos beach is found just past the San Antonio Hotel which is to your left when you get to the beach road. This is a large wide sandy beach and has a promenade that goes for miles towards Matagorda and the airport - great for a stroll with lots of places to stop for a drink or a bite. The Poscillos beach has outdoor gym equipment to tone up those muscles. Turn right when you get to the beach road and head through the barcarola area towards the main part of Puerto del Carmen. This area known as the New Town and has down one side of the Avenida de Las Playas shops, bars, restaurants and entertainment. The other side is the Playa Grande beach. Plenty of choice of water sports or just have a sunbed and umbrella and relax. Large sandy beach with lifeguard stations.